Overwhelmingly Positive (671) - 95% of the 671 user reviews for this game are positive. 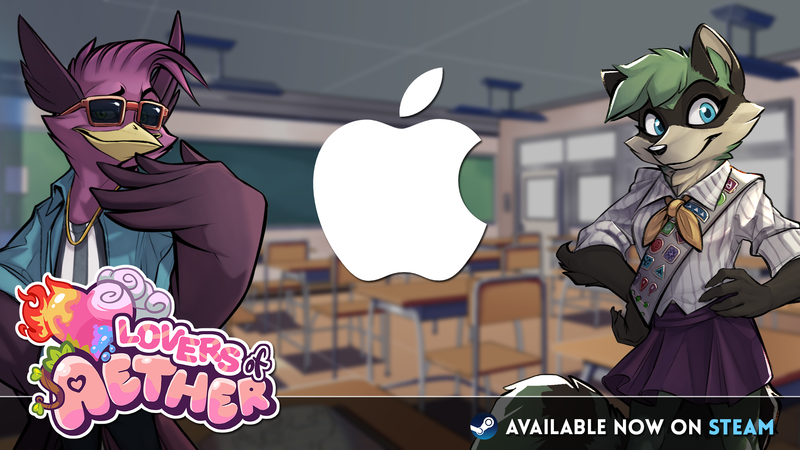 Due to popular demand, Lovers of Aether is now available on Mac!. While we're here we also wanted to answer some questions we've been repeatedly getting. 1. Is this game only available for a limited time? We don't plan on removing the game from the store at any point. 2. Will there be more content in the future? Since Lovers of Aether started as an April Fools' Day project we don't have plans to add additional content at this time. However, it's been a lot of fun to work on and we really enjoyed it, so we'll 'never say never'. For now though we're headed back to Rivals of Aether development to finish the Definitive Edition. 3. Will the price go up after this week? We currently have no plans to increase the price. That's all for now, we hope you enjoy the game!